On Sunday my friend and I went to our local goodwill and came across an amazing pair of electric blue pumps. Unfortunately, my foot was swimming in the size 9 pair of heels, and I had to force myself to walk away from what I am sure would have been a beloved pair of shoes. Ever since then, I have found myself encountering blue shoes galore making me truly regret not purchasing the pair I found just days ago. I have bookmarked some of my favorites, so I hope enjoy. hahah o i will :) im in love! I love the heels in the 3rd photo! 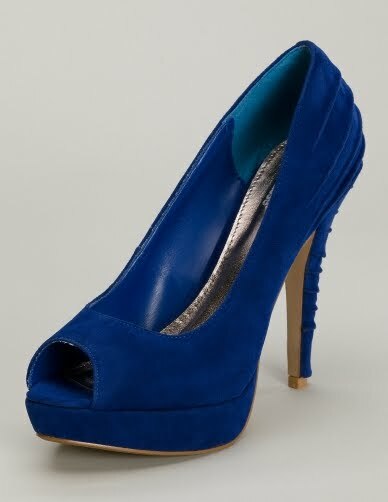 blue suede shoes remind me of Elvis, but they are adorable!